Gas chromatography (GC) is a process used in determining volatile substances in a gaseous state. It uses various techniques such as sample introduction, detection and analysis, and separation. Carrier gases such as helium, hydrogen, argon, and nitrogen are used on account of their compatibility with various detectors and other GC equipment. Some GC applications are forensic testing, drug testing, food testing, beverage testing, and development of vaccines. Recently, the Fiji police department purchased a GC device to expand the investigational capability of their forensics laboratory. Major end users include healthcare, environmental agencies, and contract research organizations (CROs). GC is being increasingly used with mass spectrometry (MS) to calculate the mass of various compounds across samples. Development of these devices can reduce analysis time and increase efficiency. Malaria was responsible for the death of more than 400,000 people globally in 2015, according to a survey by the World Health Organization (WHO). Researchers from the Swedish Royal Institute of Technology, Durham University, London School of Hygiene and Tropical Medicine, and the International Centre of Insect Physiology and Ecology (ICIPE) have collaborated to study and accurately identify the cause of malaria. They used GC and MS together to identify cedrol as the key component that attracts mosquitoes to breed in a particular place. The pharmaceutical sector uses GC to identify harmful compounds in end products and raw materials. It was recently used to pinpoint the presence of anti-anxiety and anti-seizure drugs in fish. The GC-MS systems of Perkin Elmer were successfully used in pinpointing the quantities of compounds in drugs and vaccines. 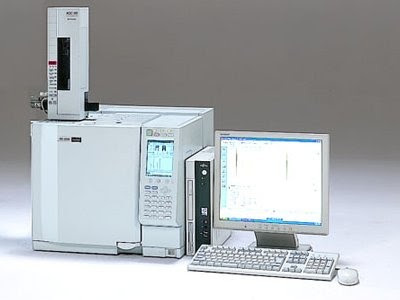 The global gas chromatography market is anticipated to exceed a valuation of USD 4 billion by 2025, according to a report published by Grand View Research, Inc. Technological advances in GC are expected to augment market growth over the forecast period (2014-2025). Instruments and devices that can reduce analysis time are expected to drive market demand. Increase in government investments to encourage the adoption of GC across various industries is also anticipated to impact market volumes. Prominent market players include Bio-Rad Laboratories, Inc.; Danaher Corporation; Thermo Fisher Scientific, Inc.; and GE Healthcare.